During the orientation, we were given and discussed our schedules and activities for the upcoming 3 months. There was also a session about the laws here on campus, in the state and the US or federal law in general. At first it seems strange for me but in fact it is very important to know these things as otherwise you might unknowingly break them. I was rather shocked upon listening to the rules and regulations here in Iowa, because the points mentioned are regularly trespassed or plain ignored in my sweet homeland of Indonesia. The first point the IWP mentioned are rules regarding alcohol. Here, alcoholic drinks are not HARAM (forbidden) and yet they have very strict rules about it. 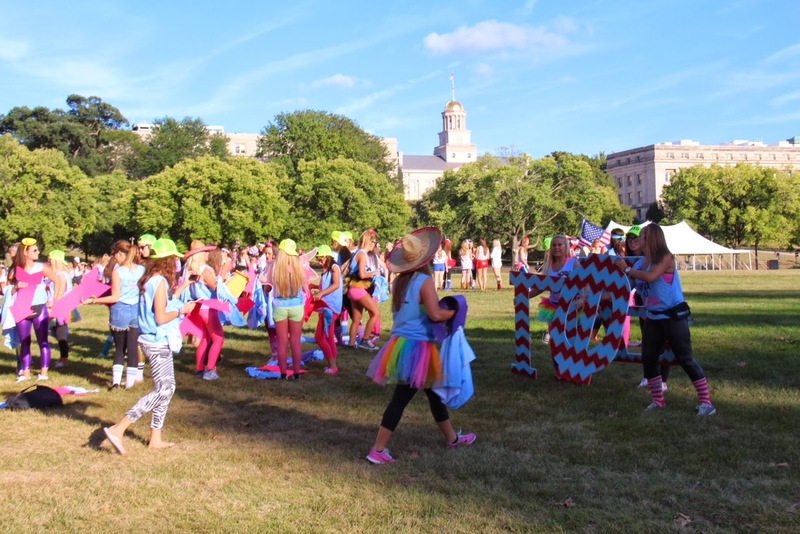 There are many party held on campus, in fact Iowa University got a rep as one of the party school in the US, however, students, guests, or anyone really, are not allowed to bring alcohol to public spaces including on the sidewalks and campus hallways. Although sale of alcohol is legal here, it can only be purchased by those over 21 years old and must be proven by a photo ID. A writer was arrested while walking back to his hotel because he was holding a can of beer. Just by openly displaying an alcoholic drink is ground for arrest. Another friend, a writer from Russia, was buying alcohol in a big supermarket in Iowa. Although he is clearly an adult and definitely over 21, he was still asked for a photo ID before he can purchase it. Rules and regulation regarding alcohol turned very strict in America after several drunk-driving accidents occurred. Several drunken drivers –on different occasion- hit and wound their victim, some were even fatal. Most of the victims were children and teenagers. America was shocked. The mothers whose children were severely or fatally wounded band together, and with the support of many created Mothers Against Drunk Driving (MADD) in 1980. MADD is a movement whose mission is, “To stop drunk driving, support the victims of this violent crime and prevent underage drinking.” Their tireless work led to a review of the alcohol law which was then revised and resolved in a much stricter law. This made me pondering about my own country. Indonesia is supposed to be a religious country with high morals and decency and yet… Alcoholic drinks are easily obtainable; beers are even sold freely in minimarkets across the country. Anyone could buy it. Nobody need to show an ID, nobody even asked about it so underage students can easily buy beers; they just need to show their money. Even though there has been drunk-driving incident in Indonesia, one of them involving a young woman who fatally hit and killed over 12 people, there are still no changes or even a mention of change in the rules and regulations. And this keeps happening. The second thing that was mentioned is about smoking. The organizer explained that the campus and all public places are a smoke-free zone. The dorm where we stay is also a smoke-free area. There’s a huge sticker plastered on every room stating the hefty fine of $100 if the occupant is found smoking or even just traces of. While I was walking around, I also found a notice on a building window stating no smoking near and around the window! Once again my mind wandered back home, a country with one of the highest number of smokers in the world. Indonesia is truly a cigarette industry heaven. Many fathers willingly spend their hard-earned money on smoking instead on their children’s education. Many kids could not afford their books and schooling because their family priority, after rice, is a pack of cigarette. This is what happened in many families including the poor. There are laws regarding smoking but it is mostly ignored. I can hear the voice of my teachers and elders about Indonesia, a country that’s warm, kind, and upholding high moral virtues. Now, in front of my very eyes, in America, a country that’s considered loose and free, actually has very strict laws and rules regarding ‘moral virtues’. The third point being discussed amazed me. If we swear or use profanity such as the f-word loudly, we’re liable to be fined. Everyone here seems to understand that humans are prone to make mistakes, so there is a need for laws and regulations to uphold and enforced so people do not harm others with their mistakes. Without undermining my own country, but with facts and evidence clear as day, everyone and the authorities should take a long hard look and reflect how religious values, culture of tolerance and kindness could result in an act that would protect its people. Or should these things – such as the start of Mothers Against Drunk Driving – should begin with uniting and organizing concerned mothers and women? If such organization exists, let’s hope it is heard louder. If not, maybe it is time we take action to.